My in-laws are big fans of Malay food, especially my father in-law who used to work in the government sector. His job allowed him to travel all over the country to sample all sorts of cuisine. 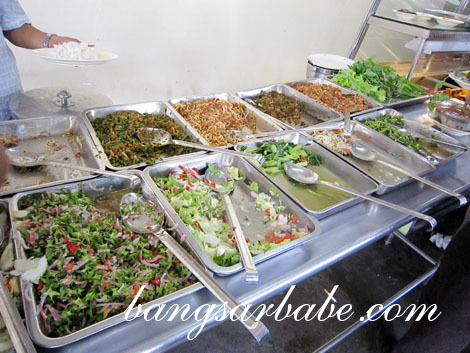 I never understood the appeal of Malay cuisine (warung style) because I didn’t know what to choose. Thanks to him, I now know Malay cuisine a bit better. 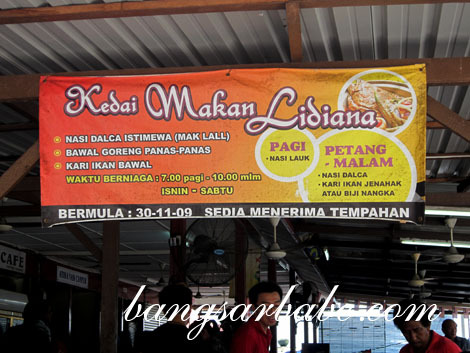 During our visit to Penang island, he decided to skip the char kuay teow, oyster mee and asam laksa for lunch at Kedai Makanan Lidiana in Tanjung Bungah. 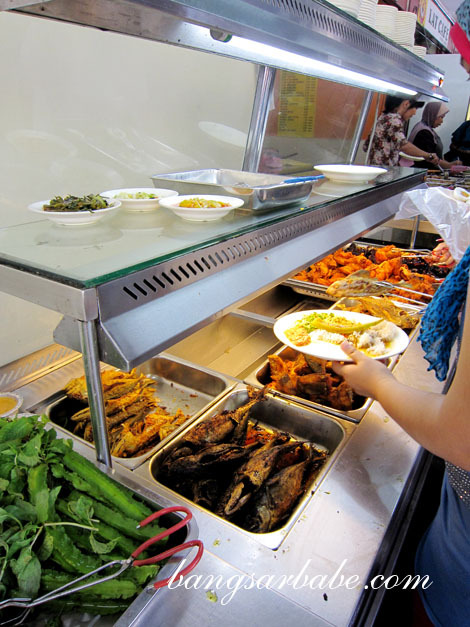 Located opposite the Penang floating mosque, the stall is the first and largest stall at the food court. At noon on a weekday, the queue was long and the ambiance was incredibly humid. To cool down, we ordered a glass of coconut water each and tucked into our meal of white rice, sambal terung, tempeh goreng, ikan bawal goreng, sambal ikan goreng and kerabu kacang botol. 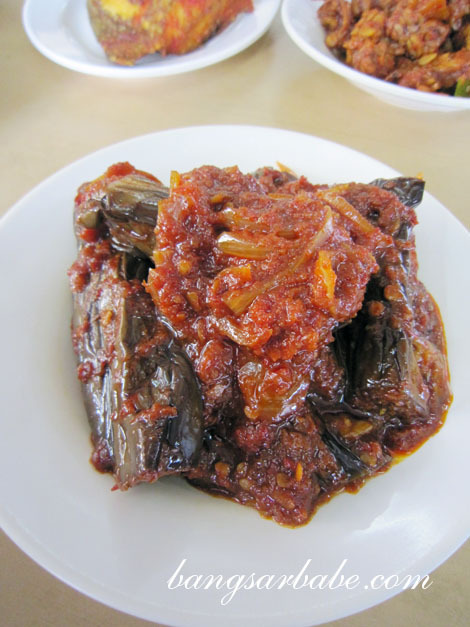 The brinjal sambal was tasty and adequately spicy. Not enough to set your mouth on fire, but it was a tongue-tingling experience. 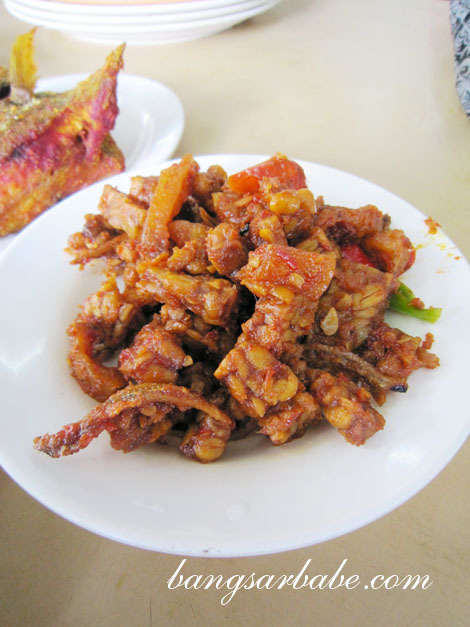 I thought the tempeh goreng was nothing to shout about. Although crispy, the seasoning tasted a bit bland. 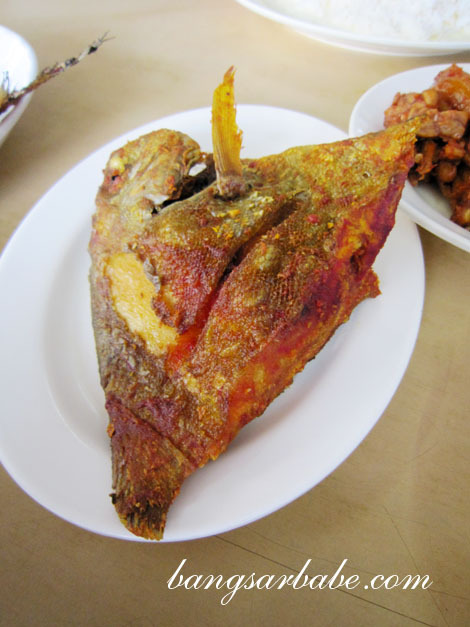 That said, the fried pomfret was moreish – tender white flesh, well marinated and deep-fried till crispy. I liked this. 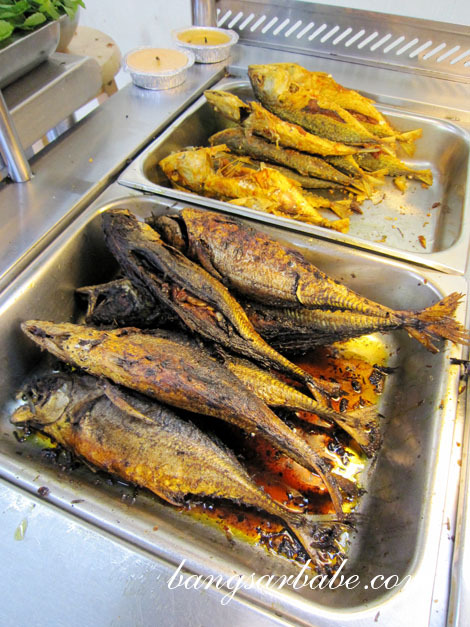 We all liked the sambal stuffing for the ikan goreng. This packed a wallop of flavour from the chillies and the sticky-sweet sauce paired well with the fish. I forgot what fish this was, but it was a pain to eat. Too many bones for my liking. 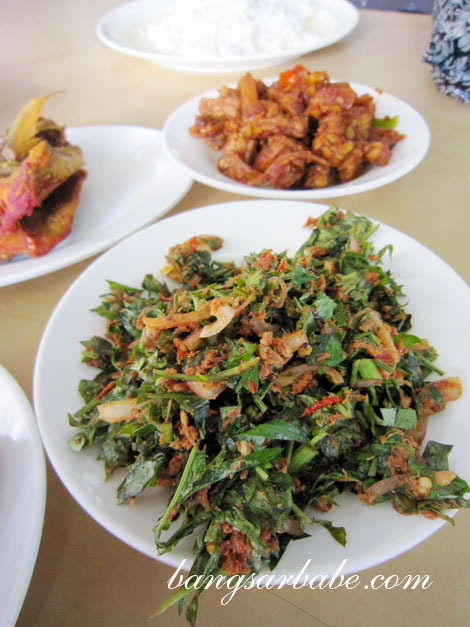 The kerabu kacang botol was a tangy-rich dish that went well with white rice. Don’t be fooled by its mild appearance. The spiciness for this one creeps up on you. The ayam kicap was forgettable; it was too sweet. All in, lunch came up to slightly over RM50 inclusive of drinks. Pretty reasonable considering how the sambal ikan goreng was RM30. If you’re planning to eat here, best to get to the shop before noon and wear something loose! It’s too hot to care about looks! 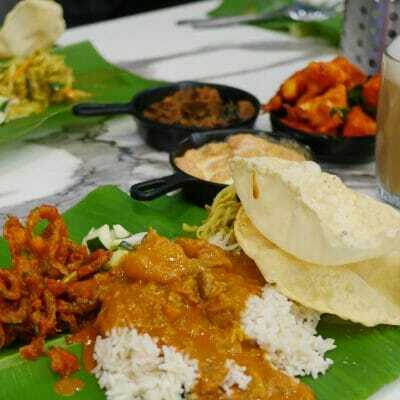 Verdict: Good Malay food, decent prices. 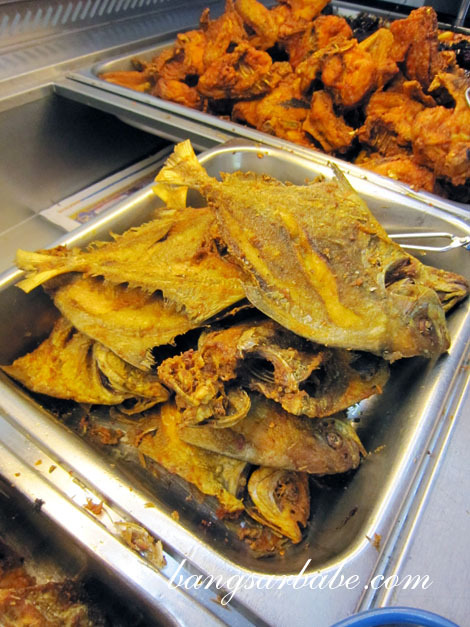 The black pomfret looks good.. 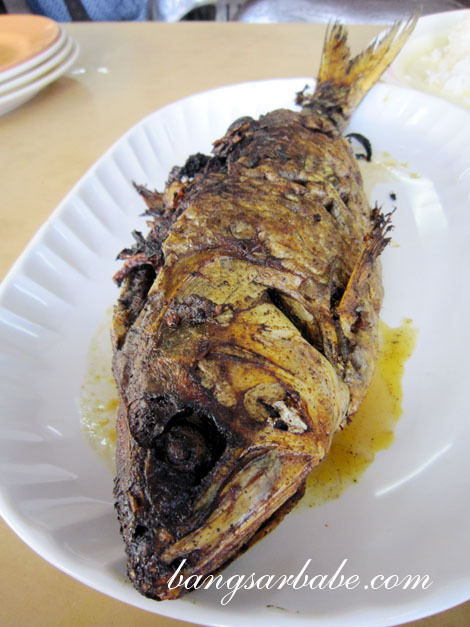 I like it with deep fried so that it doesn’t have the fishy taste..
then the kicap ayam also looks very delicious.. long time I didn’t eat malay food..
Maybe eat Malay food to lunch later la! That’s a reasonably priced lunch. Some of that food looks pretty spicy! I’m not that I’d be able to handle the sambal stuffed dishes. 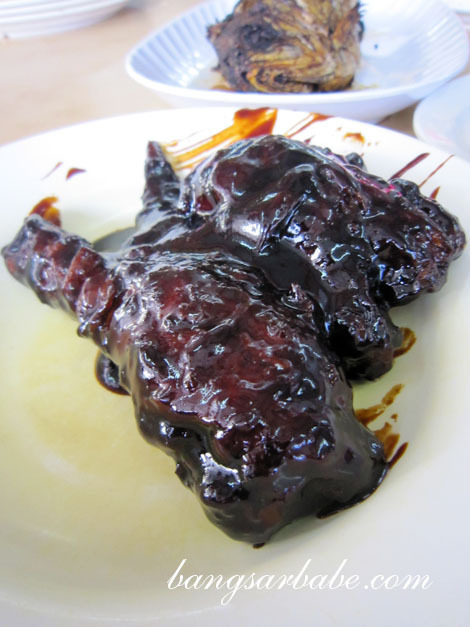 the kicap ayam looks too kicap-ish!